Taste test: These are your standard conventional thin-sliced potato chips, with a medium level of salt, and slightly greasy. They're good. They're similar to regular Lay's, but these are better. 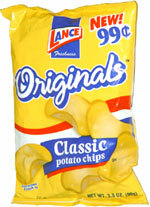 Lance packed an impressive number of chips into this 99-cent bag. 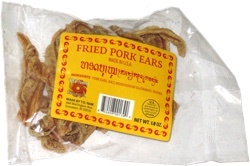 This snack was discovered by Jeremy at Shell Ameristop on I-71. Review published .